This week on The Bugcast: Dave and Yannick discuss ritual and superstition, and play a rather fantastic collection of 8 amazing tracks of Creative Commons music from The Spin Wires, Osiris, Avercage, The Artisans Beats, Candids, Kara Square and Piero Peluche, Plastic Light Factory, and Maya. is week on The Bugcast: we’re late recording this one, but – aside from being a bad news week – we still offer you 8 amazing tracks of Creative Commons music from Crimson Alley, Emilio Reales, The Artisans Beats, Barefoot McCoy, Boom Boom Beckett, Kanfeel, Vitne, and Pollys In The Stars. This week on The Bugcast: Caroline presents her favourite picks from the last year, with 16 tracks of Creative Commons music from The Green Duck, Cory Feigen, Danielle Helena, Garco, Jason Silver, Three Lucky Seven, AJC & The Envelope Pushers, Townhouse Woods, Kinematic, Jespa, The Artisans Beats, Modona, The Verandas, Explosive Ear Candy, Big Eddy and the Trailer Park 5, and Uncle Ben’s Remedy. 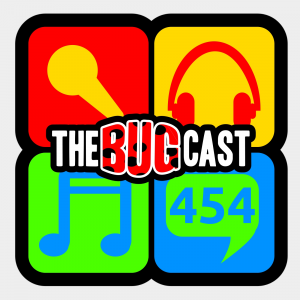 This week on The Bugcast: an incoming president, an outgoing bedblocker, and 8 amazing tracks of Creative Commons music from The Artisans Beats, The Moose, Brady Harris, Darryl & Georgia, Mickey Blue, Anastazia, Matt Confusion, and Aftermoon. This week on The Bugcast: a slightly shorter show, so fewer depressing news stories, but still 8 amazing tracks of Creative Commons music from The Heavy Crawls, The Artisans Beats, Alyssa Riley, The Cavebear Clan, Moacir Lima, Seastock, Berkley Mallin, and JekK. This week on The Bugcast: Dave flies solo, Ro jumps in for some Podcrawl action, and we play our usual mix of 8 amazing tracks of Creative Commons and independent music from Porfiria, Three Lucky Seven, Waterpistol, Lushcamp, The Artisans Beats, Boolean Knife, Cortland Goffena, and Heartskin.